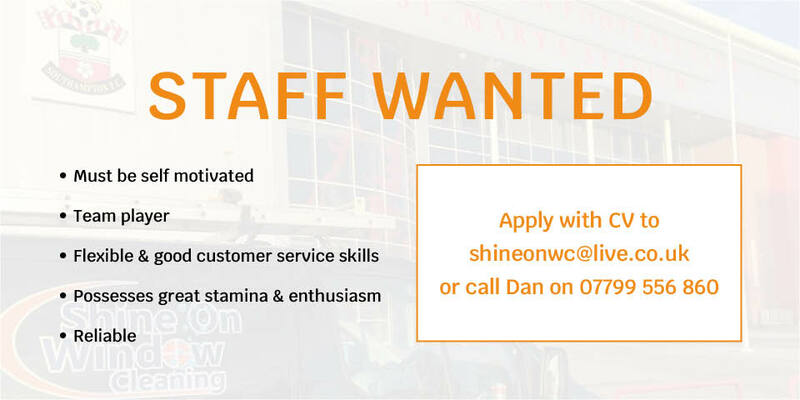 Shine On Window Cleaning, a Southampton based cleaning company, works throughout the south of England, including London. Established in 2006 as a family-run business we have developed an excellent reputation within the industry by providing added value for our clients through supreme customer care, excellent quality service and faultless reliability. At Shine On Window Cleaning we understand that not all companies have the same window cleaning requirements. We therefore offer cleaning solutions tailored to your specific needs – whether a one-off window cleaning or an on-going contract. We also take health and safety extremely seriously and are very proud of our 100% track record. We have not had one accident or incident throughout our company's history. 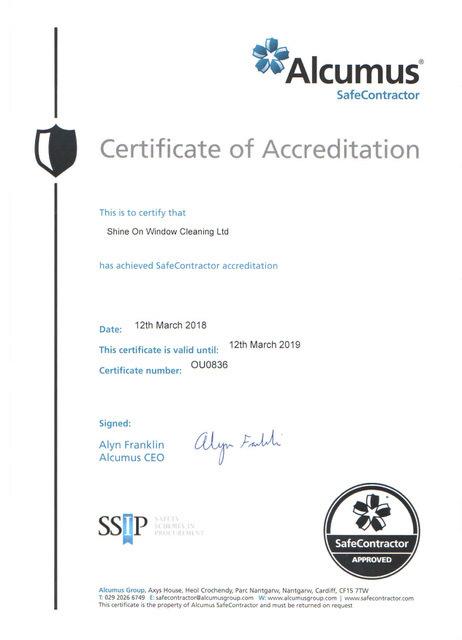 In addition, we are SafeContractor approved (click here to see our Certificate of Accreditation), and City & Guild qualified to meet our customers’ needs. In addition, we are proud to offer our clients Fieldmotion, a cloud-based digital platform that allows real-time data capture, including photos, of work done on site.